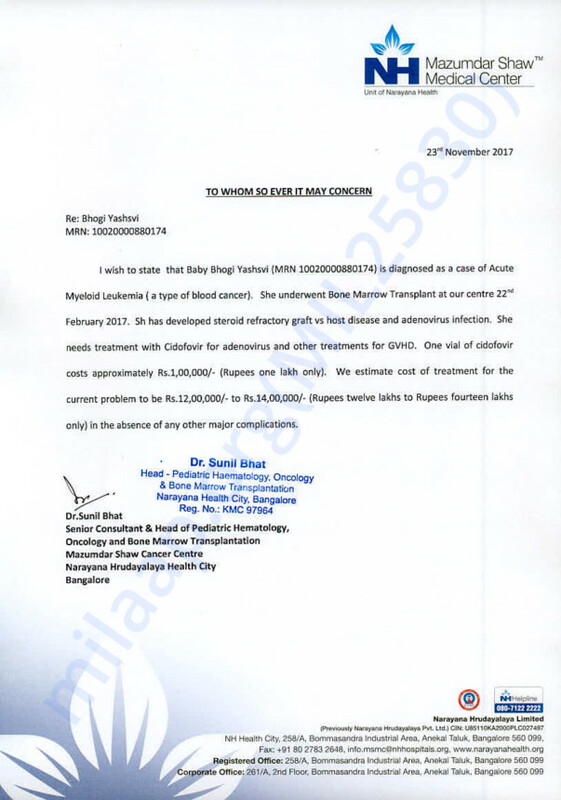 4-year-old Bhogi Yashsvi, daughter of Adinarayana, has been suffering from Myeloid Leukemia which is a form of blood cancer. She underwent a bone marrow transplant in the month of February but developed severe infections post the surgery. She requires further treatment for her infections and without this treatment, she would be unable to fight cancer. The total cost of the treatment is around 14 lakh Rs. The family has already spent a lot of money on her surgery and have now exhausted their funds. Her father needs our help to save his daughter. 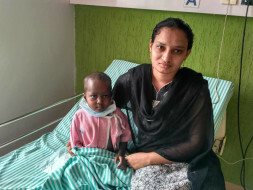 Your contribution can save Bhogi Yashsvi and give her the life she deserves. Here is an update on Bhogi. He is currently on regular follow ups after his transplant. He is doing very well. Bhogi had some infection post transplant, she is still being treated for that and is showing signs of recovery. It gives us immense pleasure in informing you all that Yashasvi successfully underwent transplant and is doing well now. She developed some infection in between and she was treated for the same and was discharged. She's recovering well. We are all hopeful about her recovery. We shall keep you posted.